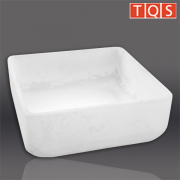 Our Industrial Quartz Crucibles and Trays are made from high quality TQS quartz sand created exclusively for our products. Due to their high chemical stability and purity, they can be used at regular application temperatures of up to 1,050°C. The durability of the TQS industrial Trays and crucibles (or operating cycles) depends on use. For applications at temperatures below 1,050°C, nearly unlimited durability (and operating cycles) can be achieved. Short use with maximum temperatures of up to 1,600°C is also possible. 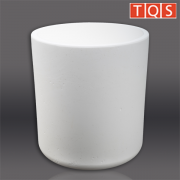 TQS industrial crucibles are made using electric arcs — or slip casting. For industrial trays, slip casting and blow molding technology are used for production.